The fuel-saving tyre that keeps performing for longer. 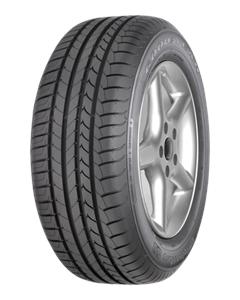 Designed as a new environmentally friendlier tyre the Goodyear EfficientGrip provides driving performance while reducing fuel consumption. The EfficientGrip has the great handling and braking qualities you'd expect from a Goodyear tyre - with its FuelSaving technology and outstanding rolling resistance (13% better) the Goodyear EfficientGrip provides excellent mileage and reduced fuel consumption.